When someone chooses to use a UPS device, it is because they have a machine, or several machines, that need to be powered on at all times. Mitigating down time is critical, and UPS devices offer a very important service to people all over the world. When the power goes out or there is some sort of other issue, your UPS device keeps your hardware running for as long as possible, thereby providing you the ability to get your work done when it needs to be. Your UPS performance is therefore critical. However, even with the highest quality battery inside your UPS device, sometimes batteries fail. There could be a number of reasons for it, but the result is the same. A UPS without a working battery simply doesn’t do anybody any good. You may find yourself at some point down the road with a UPS device that has a battery that is either malfunctioning or otherwise not working. You may not know quite what to do in this situation, or where to turn to. The first option you have is to contact the company that you bought the device from. They will sometimes offer battery replacement services. You can work with them to find the solution that best fits your needs, which is getting a new battery as quickly as possible. UPS performance needs to be constant, and so getting the battery replaced will be a high priority. The stress of not having one can be great, especially when the UPS device was attached to hardware that is critical to your business’s ability to operate. 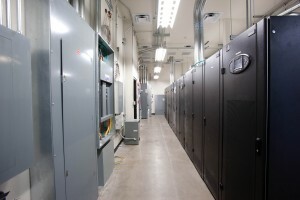 If your UPS device is one of the types that are designed for serious use in a data center, the provider will sometimes have a contract that you signed when purchasing their services. If this is the case, feel free to go over the contract again and see what your options are when it comes to replacing the battery and getting your UPS performance back to normal levels. If you are curious on how exactly you would know that your battery is not working, do not fear. Almost all UPS devices come with an alarm that goes off when the battery reports that the power levels are low. It knows this because it has a built in way of running a test, all independently from anything you are required to do. If this test reports that the battery is low, it will either make a loud sound, or flash an indicator light on the device itself. If you have a device that is doing either of these two alarms, you will then know that the power is low in it, and it may be time to replace the battery as the UPS performance is, at this point, less than optimal. Sometimes these alarms are false alarms, or the plug was disconnected. Reseat the plug and try again. If you get the alarm a second time, then investigate further. If your battery has truly died, you can sometimes replace it without having to replace the entire device, though this is not always the case. Discuss with your provider how to best replace the battery or device and get one that will be able to keep your UPS performance at the level required by the hardware it is attached to. This entry was posted in Uninterruptible Power Supply, UPS Maintenance and tagged Uninterruptible Power Supply, UPS Batteries, UPS maintenance, UPS Systems. Bookmark the permalink.